Early diagnosis of childhood vision problems is essential. Children are more responsive to treatment of eye diseases and problems when they are diagnosed in the early stages. As a parent, it is not always easy to tell if your child is suffering from a vision problem. 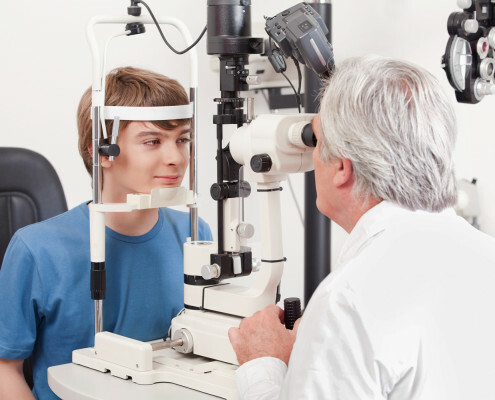 Routine eye exams are needed to detect nearsightedness, farsightedness, and astigmatism, as well as screen for binocular vision problems like amblyopia and strabismus. 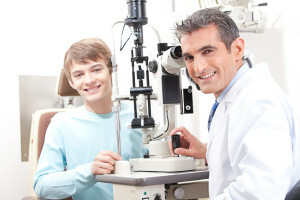 Many people equate the need for an eye exam with replacing their eyeglasses. While it’s certainly important to see well, undesirable changes in your eyes can occur which do not adversely affect vision in their early stages. Unlike the rest of your body, your eyes rarely hurt and you may not have any symptoms when something is wrong. Do not rely on changes in your vision or broken glasses to remind you of your next eye exam. Follow the advice of experts; have your eyes examined on a regular basis. Clear vision is essential to a child’s early development. The majority of what children learn early on in a classroom is mainly presented in a visual form. Early eye exams can ensure that they have the visual skills they need to do well in school.